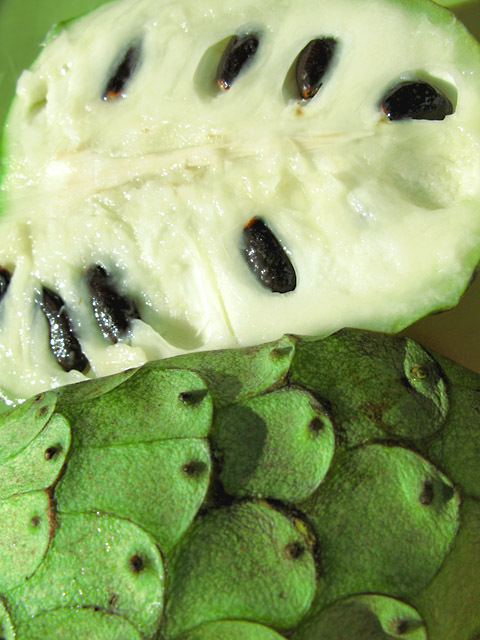 Remember that freaky cherimoya fruit I told you about? We finally got the courage to try this local delicacy. 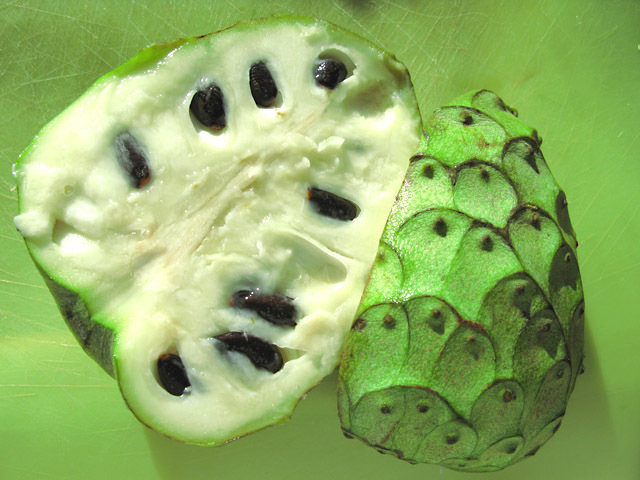 The cherimoya is as mean and nasty looking as a gila monster, but slice it open and it’s soft flesh tastes somewhere between a pear and a papaya. The sweetness of this fruit would probably go good with a gewurztraminer wine, but don’t get liquored up or you could break a tooth on the rock hard seeds. With all of the crazy imported fruit from overseas, it amazes me that something this good that’s grown in our own backyard isn’t made more available. Why would anyone want mediocre kiwi from New Zealand when we could have a cherimoya, or a fuerte avocado grown right here in the states? 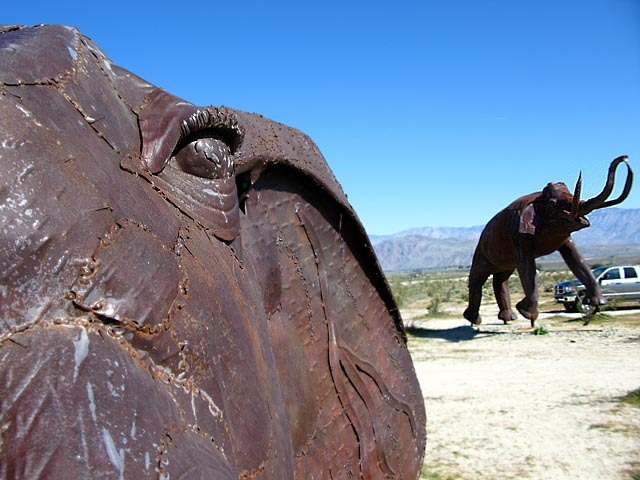 Before we left Borrego Springs we played tourist and checked out these amazing roadside sculptures by artist Ricardo Breceda. The pics don’t do them justice, and it’s hard to get an idea of the scale of these enormous creatures. 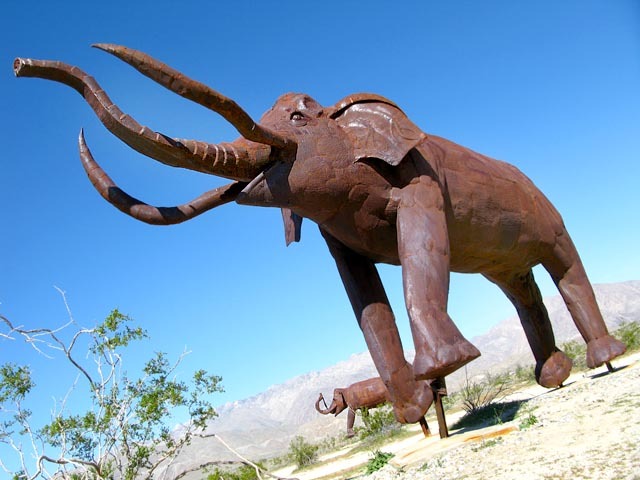 They’re set up along the outskirts of Anza Borrego State Park, and you can just meander your way down the roads to check them out. 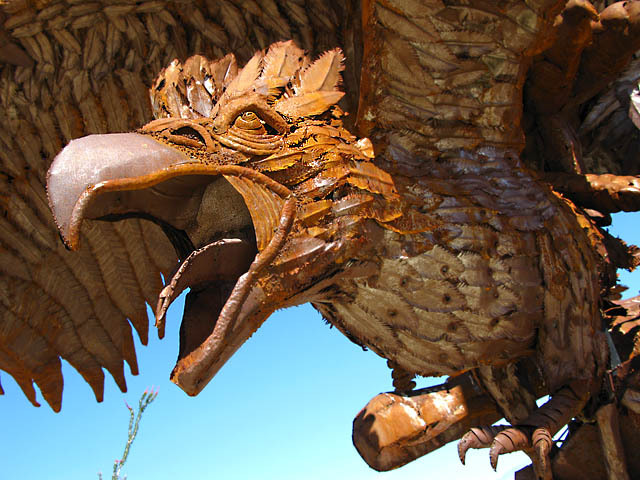 The detail of the scrap metal creatures is amazing. How does this guy find the time? If you look way in the background of one of these pics, you can see how small our big truck looks next to them.